How will a potential Brexit affect the UK property market? With the national EU referendum just a couple of months away, the debate is heating up between those who are pushing for a Brexit and those who believe the UK and mainland Europe are ‘better together’. The former argue that change is needed if we are to take back control of the UK economy; the latter remain adamant that Britain will benefit the most from holding onto its special status in the EU and retaining its allegiance with the continent – albeit on renegotiated terms. But the real question for investors is this: what impact, if any, will a retreat out of the European Union have on the volatility of the domestic (and, indeed, the international) property markets? A potential exit from the EU would have significant implications for trade arrangements. If Britain were to leave, all of its existing treaties and agreements with Europe would be defunct. The government would need to work quickly to replace the legislation in place between the UK and member states, creating a real sense of insecurity in the interim that would undoubtedly slow investment. In the run up to the referendum, it’s likely that many property investors will choose to hold off on making any purchases until a decision is reached, bringing the industry to a temporary standstill. Whether this cessation will leave a lasting impression on the market will remain to be seen – one could of course argue that developers are likely to see a surge in investment activity as soon as the dust has settled. The lingering doubt surrounding the economic status of the UK is encouraging some investors to take the view that the move will have a negative impact on market movement and potential returns. However, this may not be the case. Research from Capital Economics, outlined in this blog from International Business Times, has suggested that the overall market will remain relatively unaffected – house price growth may slow in the short term, but any disruption will be short-lived. It’s highly unlikely, too, that the Bank of England will raise interest rates, which will continue to keep the cost of borrowing down. However, notes Capital Economics, one of the challenges brought about by a Brexit may be the shortage of skilled construction workers. It’s predicted that around 12% of people within the UK construction industry are foreign-born – if these workers are forced out of the region due to changes in legislation, this loss could have a substantial impact on housebuilding projects, restricting property supply. 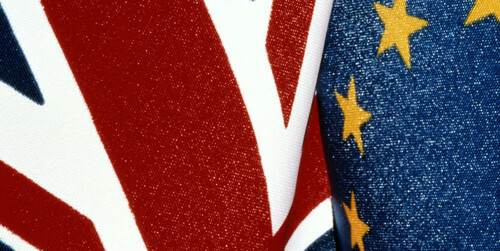 Surrenden Invest will be keeping investors informed of any developments regarding the EU debate. For more information, or to discuss the implications of a potential Brexit on your investment portfolio, contact our experienced consultants today.